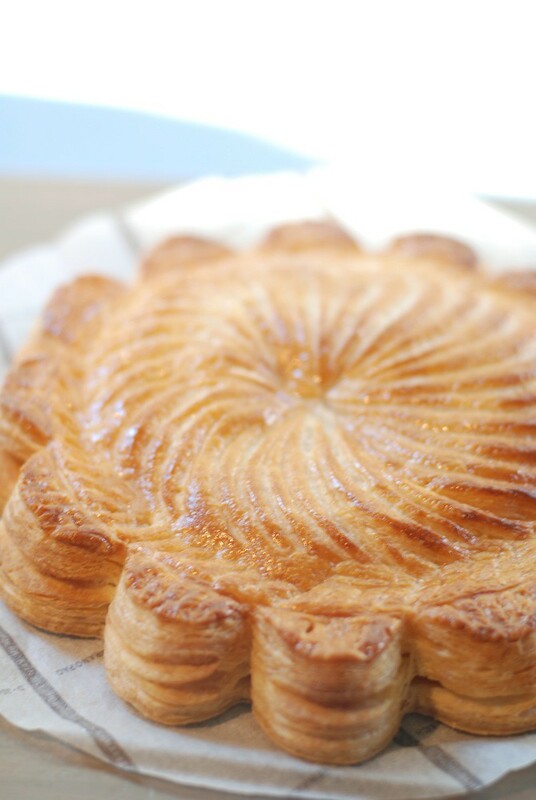 We had our last class on puff pastry reserved for making pithiviers and sacristains. Both were very unfamiliar names to me, but since I have enjoyed learning how to make our own puff pastry at school, I was excited to see what these pastries were. 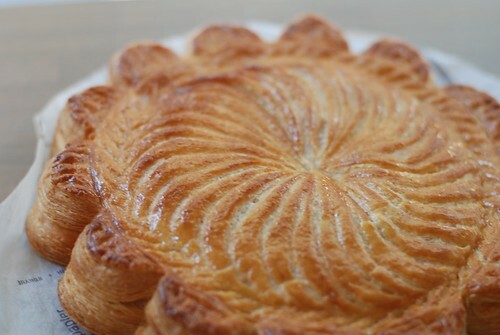 It turns out the pithivier is just an everyday version of the galette des rois I made this past January. Instead of filling our pithivier with an almond pastry cream, the chef just did an almond cream. 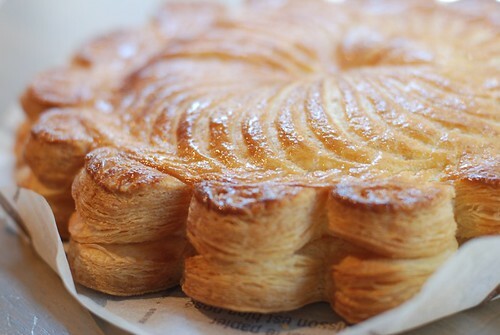 I think I prefer the extra indulgence from mixing almond cream with pastry cream in my own version, and the chef mentioned in demonstration that most bakeries do flavour their almond cream with a bit of pastry cream to make a frangipane sort of filling. After seeing it in demonstration, the chef reminded us that we’ll be seeing lots of these cakes around Epiphany in January – I can’t wait to try some out! 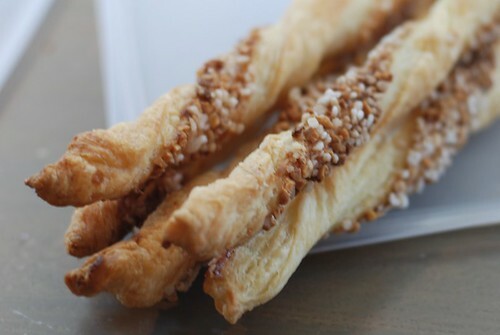 With the leftover dough, we made sacristains – a really fancy name for French cinnamon straws. 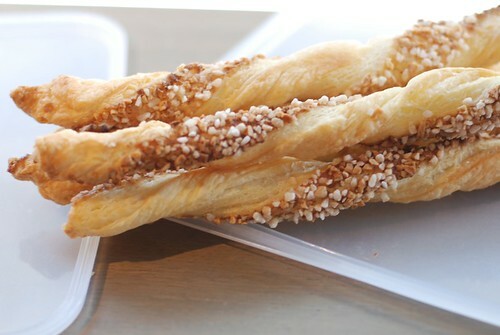 French cinnamon straws use chopped almonds and large pearl sugars, which give them a really nice crunch, but overall, the flavour is a bit lacking. I would’ve loved to see the chef brush on butter and sprinkle with regular sugar and cinnamon, but that would’ve been too crassly North American. We had the practical class at 8:30 in the morning, and the chef overseeing our work was the chef responsible for superior pastry. I actually learned quite a bit from him, as he helpfully pointed out why my dough was a little spotted when he walked by. In demo the chef had been adamant about not having hot butter in our détrempe dough, and I had taken it to heart a bit too much that my butter was on the colder side. Therefore, when met with cold water, the butter seized up a bit, creating little spots in my dough. 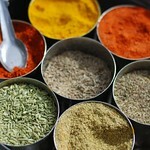 The chef gave quite a few helpful pointers that day. Combined with a few tips I had heard from a friend who had completed the class the day before, I was very pleased when my pithivier came out of the oven looking puffy and flaky, with a nice little dome in the middle. Even though the chef had warned me that my pithivier may not come out nicely because I rolled the pastry out in the wrong direction, he seemed to have forgotten about it all when he came by to grade my pithivier. 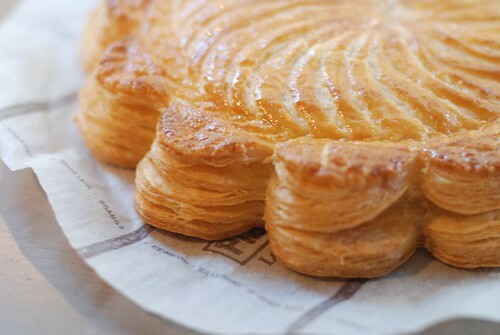 He had only nice things to say about mine and my friend’s, and when I asked him about the edges puffing up as two separate sheets of pastry, he said that was perfect – exactly what he would look for to be able to tell that it’s a well-made puff pastry. Phew! We had a bit of a break, so I took my pithivier out for a spin to Starbucks to get some decent pictures of it, before leaving it on the communal sampling table at school. We all devoured our own sacristains, though! My day continued on with another demo and a practical – more to come, as the day progressively got worse (of course), and only a separate blog post will do the tragedy justice. The pithivier is beautiful. 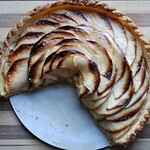 How did you make the round, scalloped shape? Hi Jed, thank you! 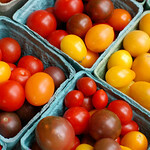 You can mark the cuts lightly with a round cutter, tipping it on an angle so you only mark semi-circles. Then use a sharp paring knife to cut along the marked lines – make sure to hold your knife as straight as possible!